Custom 6x3 round corners pizza calendar magnets are head turners and wrap high appetizing appeal. 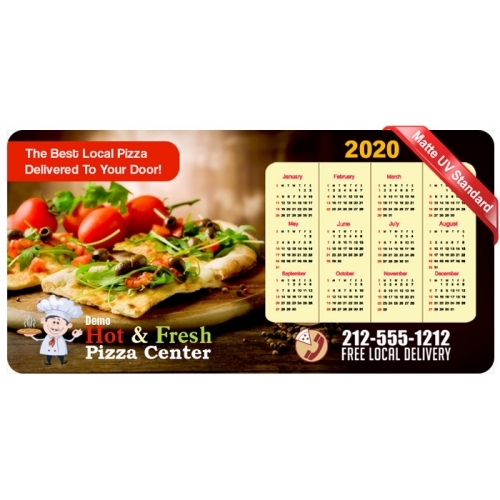 Pizzerias or individual bakers can always gift away a promotional 6x3 round corners pizza calendar magnet to their customers if they aim to gain their confidence, expand their business and position themselves uniquely from their competitors. Personalized 6x3 round corners pizza calendar magnets are often retained as contact reference token or refrigerator art, even after a year ends. 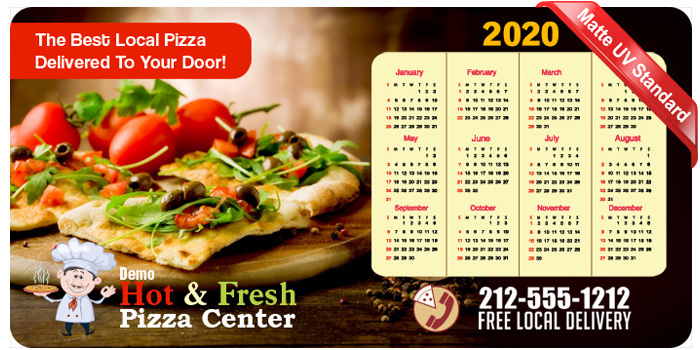 A custom printed pizza calendar magnet can be handed out to customers during service or as a mailer, and people will simply love it for its mesmerizing taste!